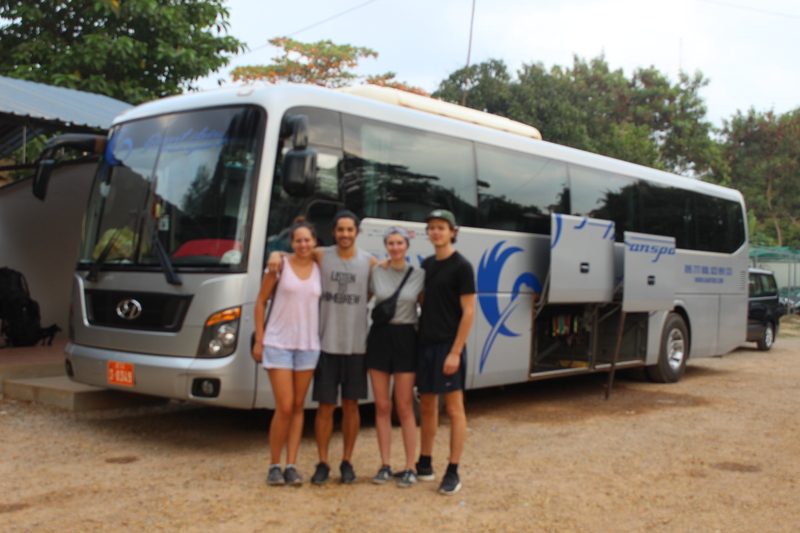 Denmark is a country that we couldn’t wait to get to, ever since we met our friends at CESHE (an English volunteering school in Cambodia) who were from there. 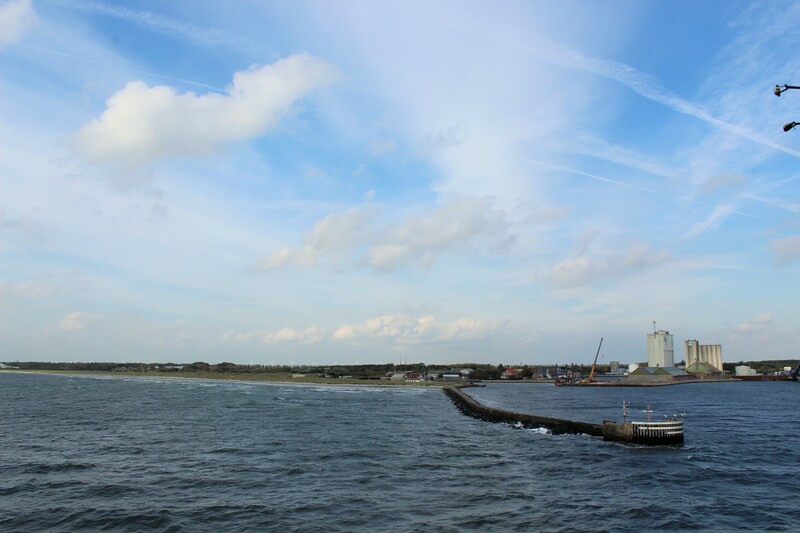 We got the ferry from Puttgarden, Germany, to Rodbyhavn, Denmark, which took around 45 minutes. It was cool waiting to dock the ferry because we saw license plates on cars which displayed which country they’re from. 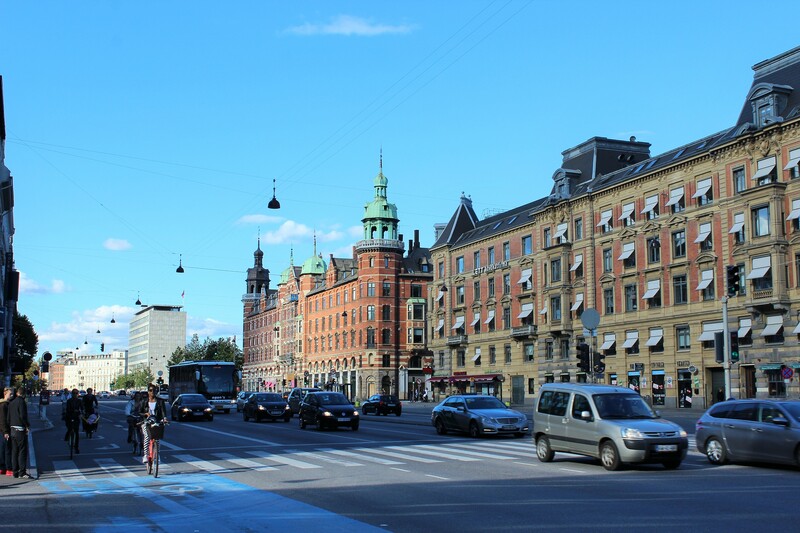 The license plates we saw were from Germany, Denmark, Norway, Sweden, Finland and even Latvia and Bulgaria. 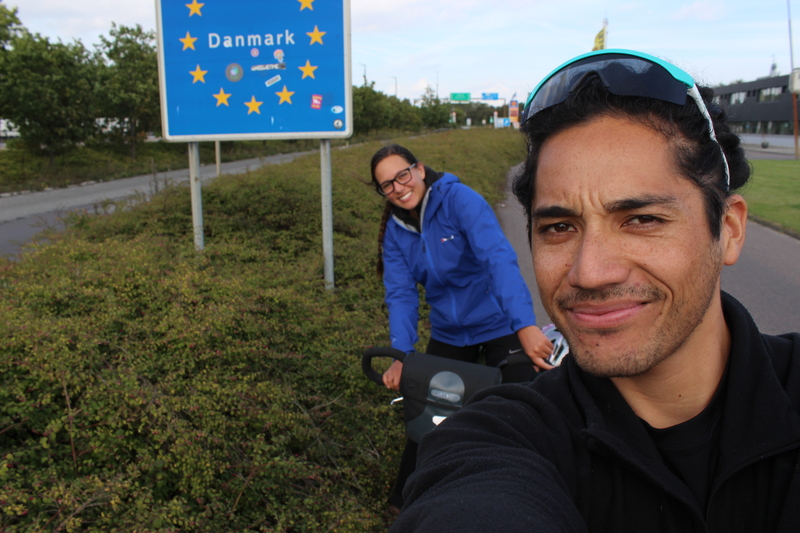 It was just a cool feeling for us because being on bikes and cycling all the time just shows how close we are to these countries. 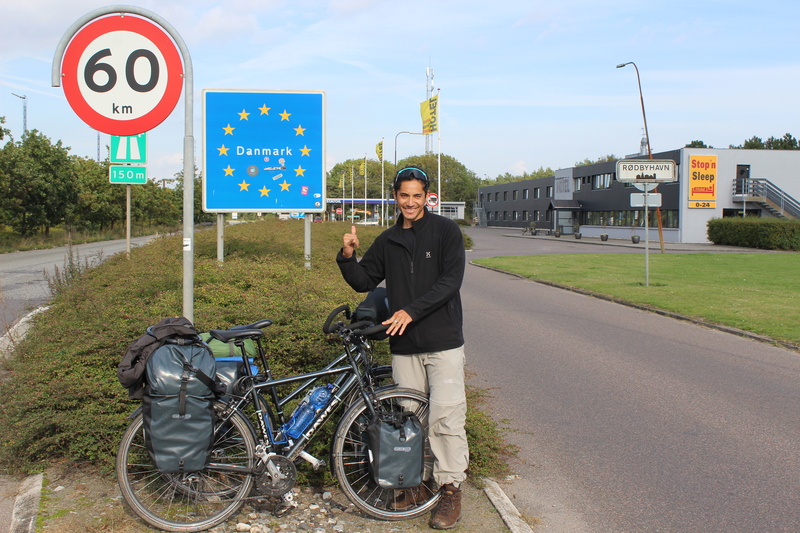 From where we camped in Germany to our next destination in Denmark I think the distance was 78km by our bike route. 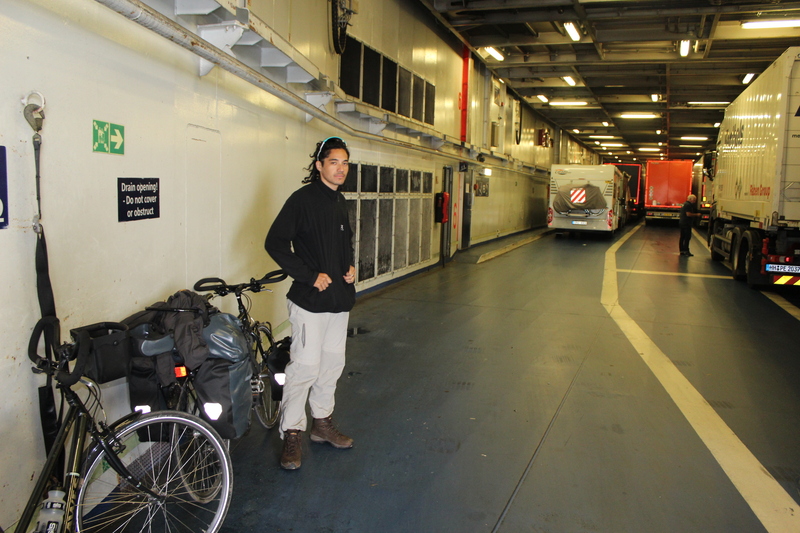 Once we rolled off the ferry, we kept on cycling towards our destination. We were following google maps cycle route which were backroads. 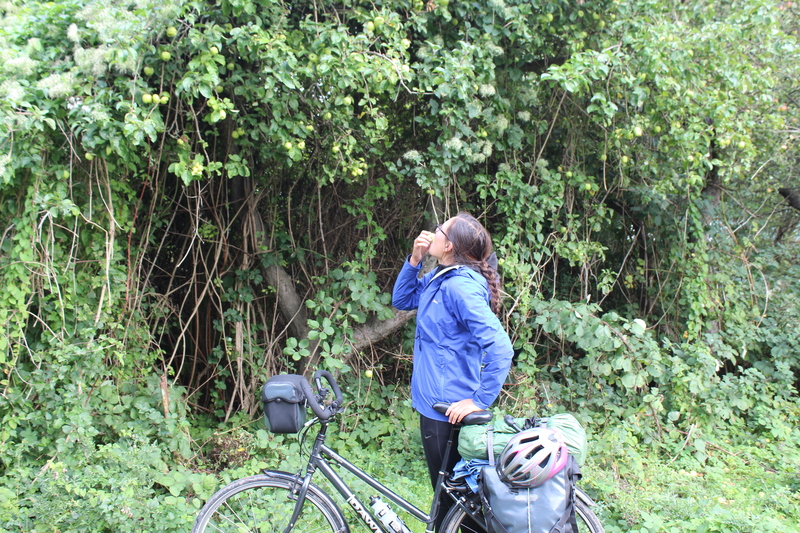 It was slow because it was a gravel path, but the plus side to riding on these backroads was there were no access for cars and there were many apple trees! 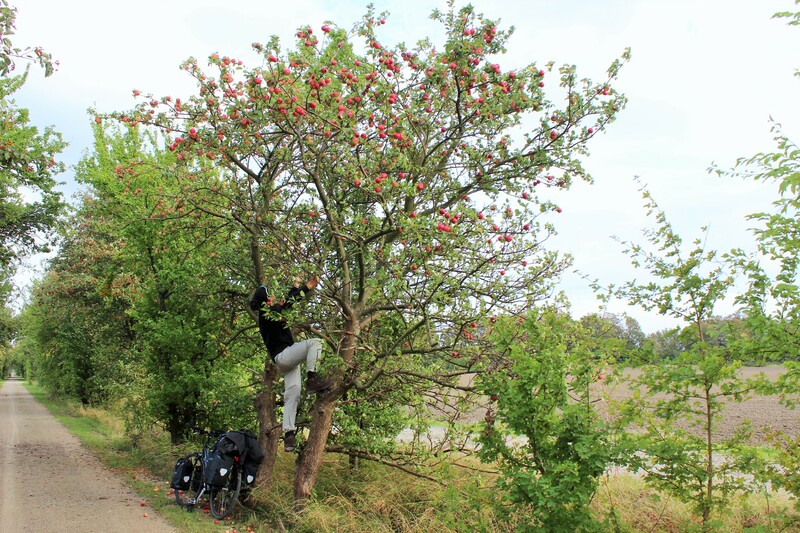 So many that we stopped and picked the fruit to eat. We were getting sick of the gravel roads, so we opted for a main road with smooth surfaces which turned out to be a better decision even though there were no cycle lanes. We were really feeling the temperature drop and the wind was getting stronger. Lucky for us that wind was behind us which meant we were flying. We had, I think, maybe 15 – 20kms to get to our campsite and then all of a sudden, I saw these metal pieces fall from Eb’s bike. As I rode past the pieces I thought they were batteries that Eb had rolled over, but Eb slowed down to hop off her bike and as she did her seat fell from the seat post. I had a closer inspection and saw that the bloody bolt that holds the seat together had snapped in half! We were going pretty fast and I saw that she hit a pot hole and with the weight of her bike and the speed she was going, I think that may have been the cause. Just our luck, we were both feeling pretty tired, hangry (hungry and angry) and annoyed with not knowing what to do. Luckily, I was looking through our bags and found some cable ties. I did a dodgy job of cable tying the seat to the seat post just enough so that she could half-sit down and ride. We were lucky enough for the accident to happen just as we were entering a small town. We were both knackered and didn’t feel like continuing, so we both made the dreaded call of finding a hotel, motel or B&B, whatever was the cheapest, rather than sticking with our original plan to camp. It was too bloody cold to camp anyway and a warm bed and shower just sounded better than camping. Unfortunately on the Warmshowers app, there were no hosts nearby. As we were approaching the centre of the town we found Lidl, our saviour. 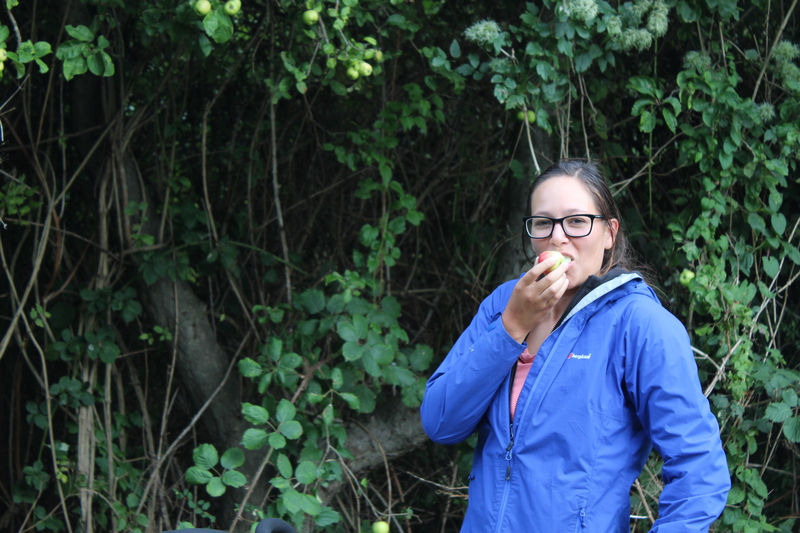 We hadn’t eaten much that day apart from the apples and a few muesli bars. Wowee, most of the prices had doubled compared to the Lidl’s in Germany. Lidl wasn’t our saviour this time round. We knew Denmark would have a jump in prices but we really didn’t think before we left Germany. We should have stocked up on some food but we were too concentrated on getting to the ferry that the thought of prices for food had slipped our minds. Knowing now that we were probably going to put a dent in our wallets looking for a place to stay the night, we were weary of which food we should buy also so that it wouldn’t be an expensive day. We ended up buying bread, ham and cheese for our dinner that night. We didn’t even buy standard cheddar cheese, we got that crap plastic cheese because cheddar was too expensive. 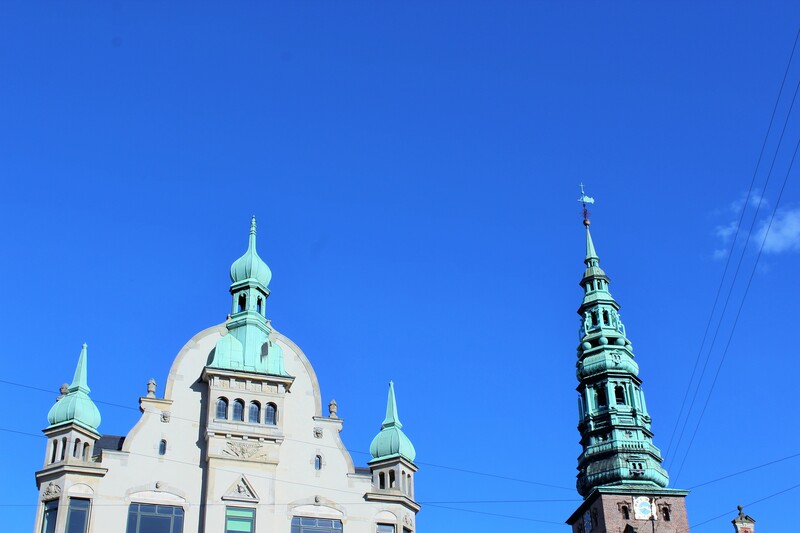 We left Lidl and we were on the hunt for the cheapest place to stay in the town. There were only 2 hotel/motels in the town and the cheapest room we could find was a double bed with a shared bathroom and a breakfast buffet in the morning for $149.80 AUD. 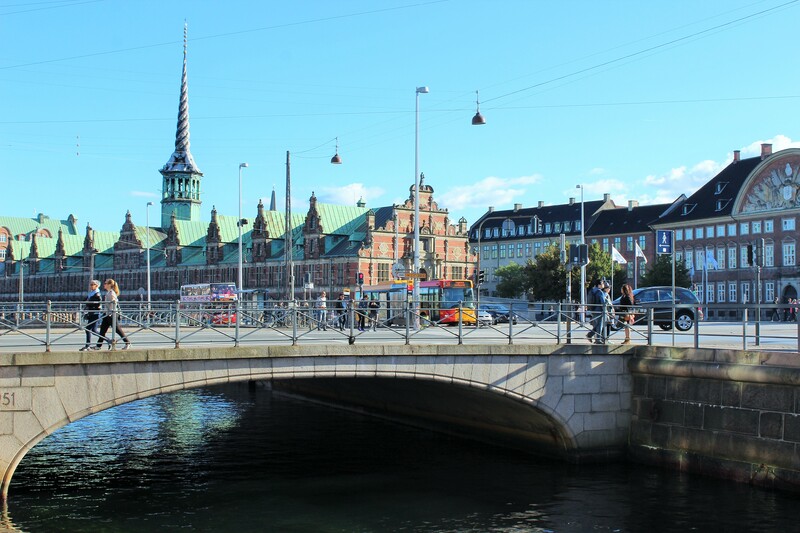 It was funny because Eb and I were talking prior to arriving at the hotel and knowing Denmark was expensive, Eb said the absolute max we would spend for a room is $150. I said no way would we spend that much but it ended up being JUST under. Oh well, at least we had a warm shower, warm bed, a tv, Wi-Fi, and a breakfast buffet in the morning. 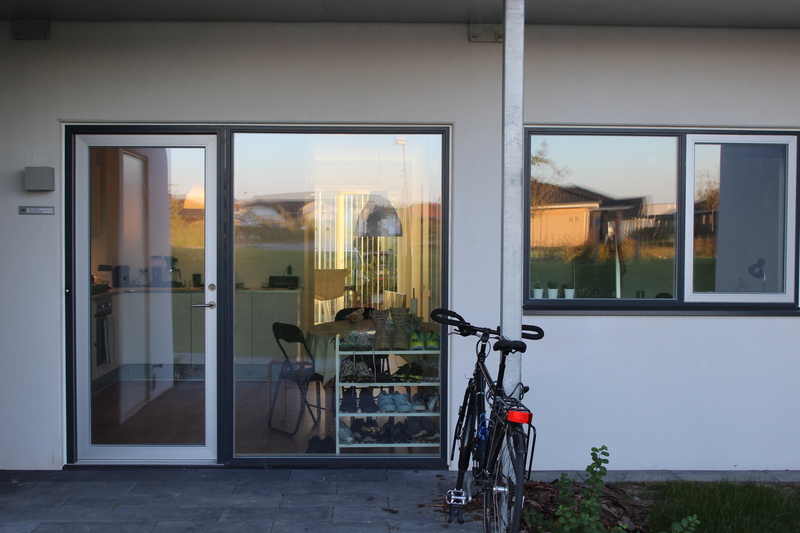 We used the Wi-Fi and found a bike shop a few 100 meters from us and we also used it to try and lock in a Warmshower host for when we arrived in Copenhagen, which we managed to do. We were just under 200kms from Copenhagen. We headed to the bike shop and got a new bolt for Eb’s bike and were on our way to a campsite we set out for. We had wind behind us for the majority of the day. We ended up stopping before our campsite as we saw this homemade cardboard sign that said “camping, this way”. I figured that a homemade camping sign might mean it would be cheaper than a commercialised campsite. We followed the sign which ended up at this beautiful home with lots of acreage. There was a sign that said “if you like what you see, pitch your tent anywhere on the grass. Price per person, $10”, which was ok… but then underneath it said $5 for a shower, what a rip off. Call us cheapo’s but we would rather hold off for one night of not showering and keep our $10. We pitched our tent anyway and the owner came home. She was an elderly woman who didn’t speak a word of English. It looked like it was going to rain so she showed us inside her barn shed where she said we could sleep instead which was a nice gesture. So we packed the tent up and slept in the barn that night. The next morning we were bound for Copenhagen. There wasn’t much to look at in this part of Denmark, it was actually boring for us (no offense to any Danes reading this), it was just farm after farm. 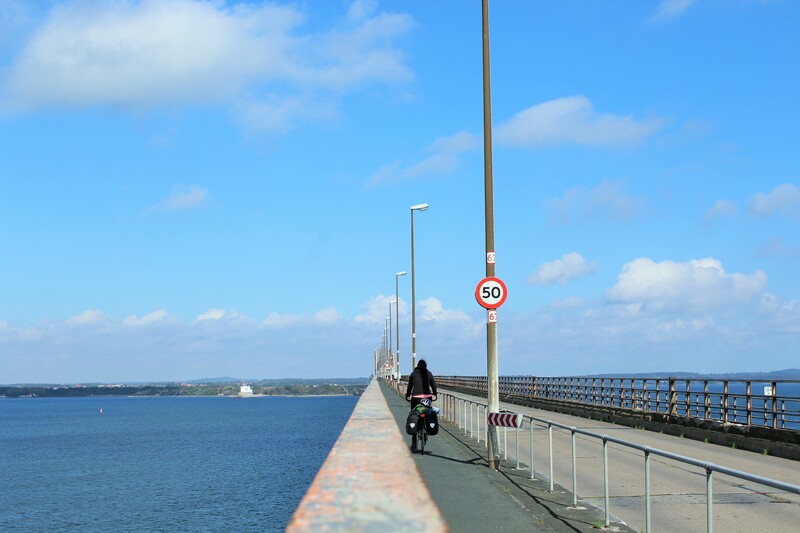 The most exciting part was crossing this long bridge over the water. After a hard day of battling head wind we’d finally made it to our host’s apartment from Warmshowers who lived in central Copenhagen. They, Iann and Marlena, were a couple a little bit older than us. They had just gotten back not too long ago from a 3 month cycle trip in the States. They were lovely hosts, hosting us for 2 nights and cooking us meals in between and sharing lots of laughs. They even cooked us a typical Danish dish made up of potatoes, a white sauce with parsley and pork that was the fattiest part cooked until it was crispy. 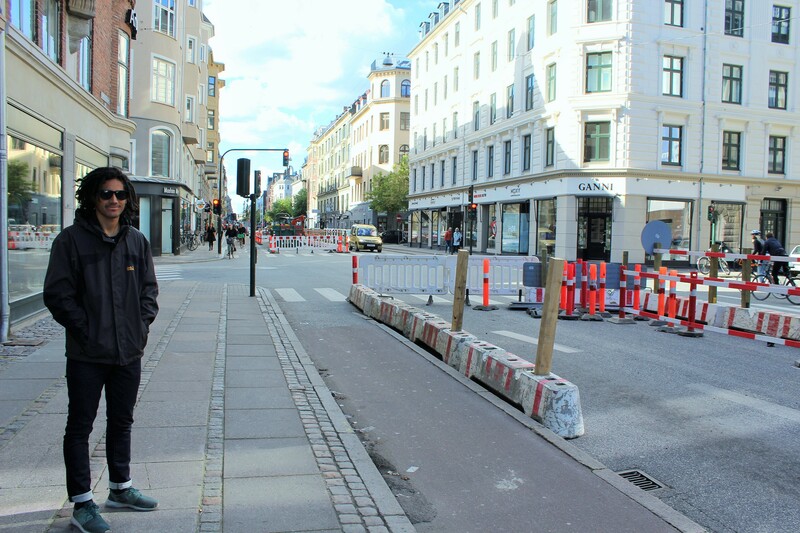 To be completely honest, we didn’t do anything in Copenhagen because we were absolutely knackered. We’d just spent day after day, cycling from Amsterdam. We went out for a couple of hours to do some sightseeing. The first thing we noticed was how stylish everyone dressed. 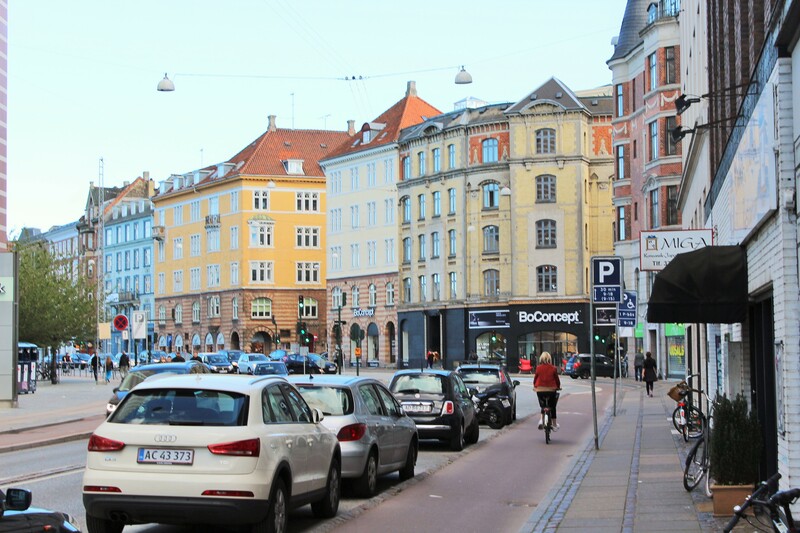 Everyone says Milan is the fashion city or something like that, well Copenhagen is the city of style. So many cool cats everywhere, and not the try hard type. 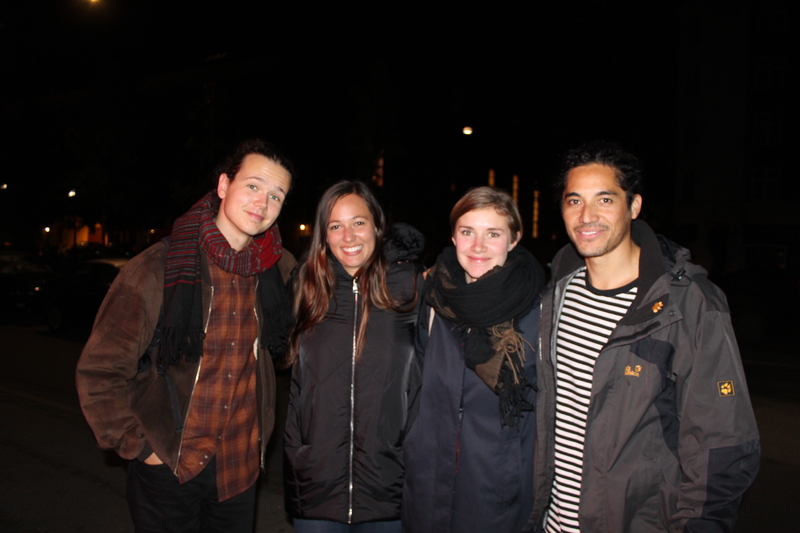 One of the main reasons we wanted to come to Copenhagen, was to catch up with our friends, Jonas & Emma. We like to label them as the model couple, as they have this very distinct model look. They’re a really cool couple. Emma is kind, softly spoken and studies literature. Jonas looks like a philosopher to me, and everyone else at CESHE actually. He always looks like he is thinking about something deep. He is doing an apprenticeship in joinery but he is going to study philosophy after. 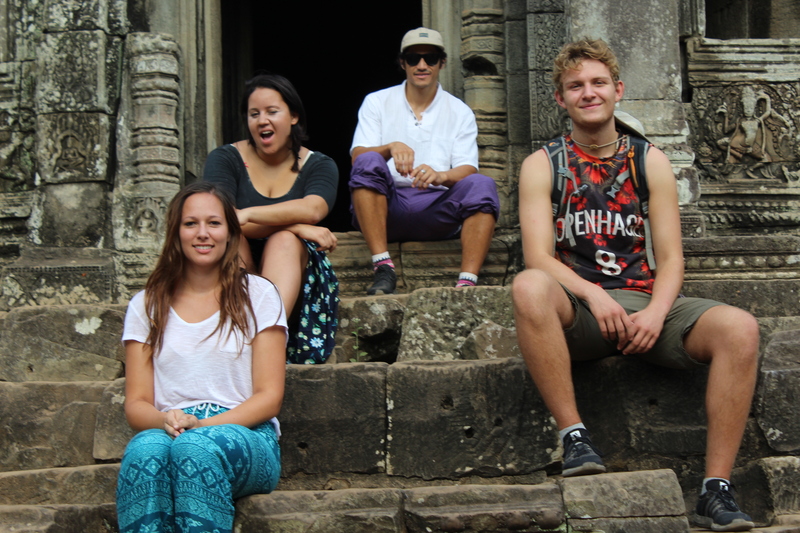 We bonded well with them back at CESHE; they arrived there the same day we did, stayed the same amount of time we did and then we left together and explored another city in Cambodia with them. We managed to catch up with them one night for a couple drinks at a local spot. It was so good seeing them again, reminiscing on the good times and talking about what they’re up to now. It was short but sweet, seeing our friends again. This definitely isn’t the last time we will see them. 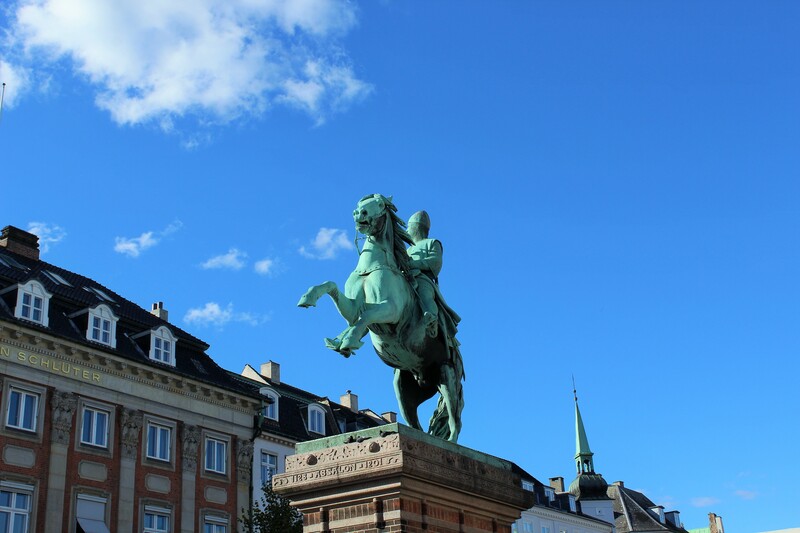 Our next destination was Aarhus, the second biggest city in Denmark. 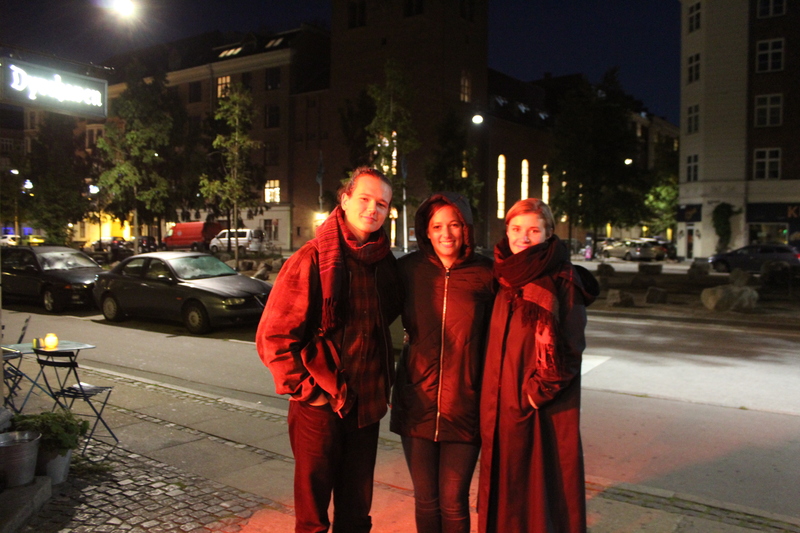 We were lucky enough to be offered a place to stay a couple of nights, by our friend Rasmus, who we also met at CESHE! 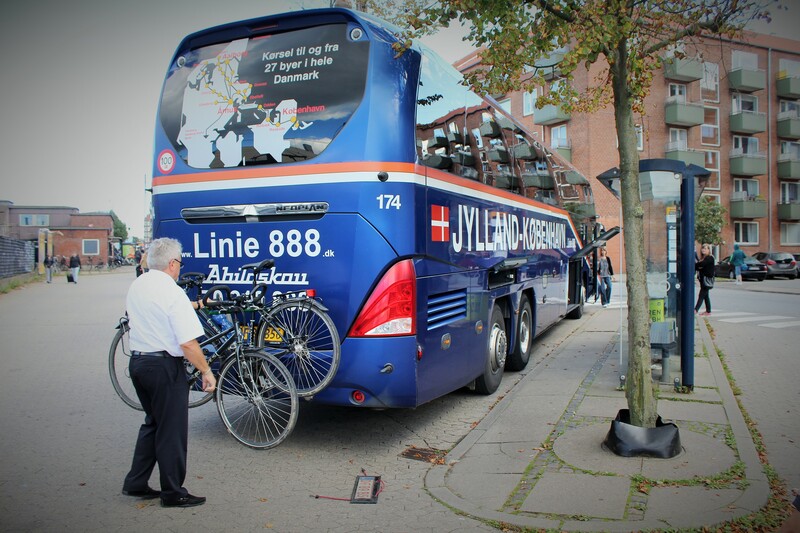 With the strong winds ahead of the bike ride to Aarhus, Eb flat out said she’s not cycling there and I don’t blame her, I wasn’t keen for head winds all the way to Aarhus either, so instead, we booked a bus which would take 5 hours. 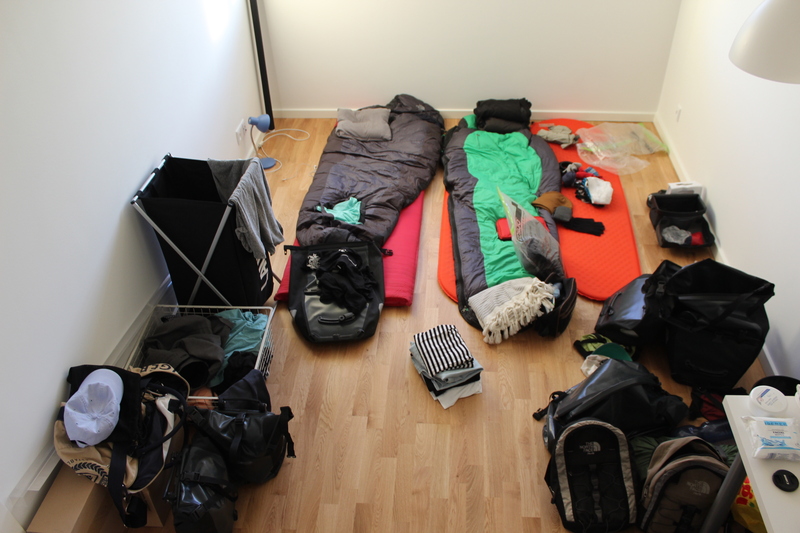 We arrived in Aarhus and Rasmus lived 20 minutes from the city. As we were getting closer to his apartment we saw this blonde haired guy approaching us on a bike. It was the man himself, Rasmus, coming to find us. We followed him back to his apartment where he had just moved in with one of his friends. 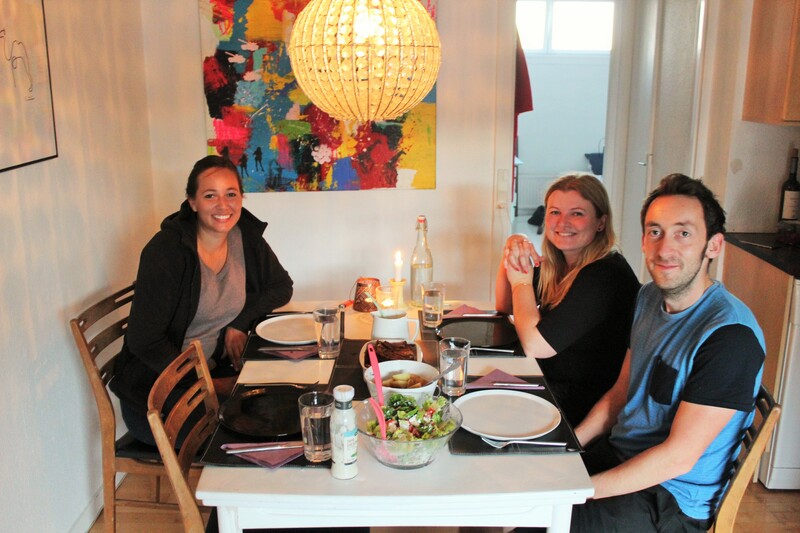 He had prepared a Danish meal (potatoes, meatballs and gravy) for us which was so nice of him. Rasmus is a cool dude. He’s just started studying business which will see him through for 5 years. 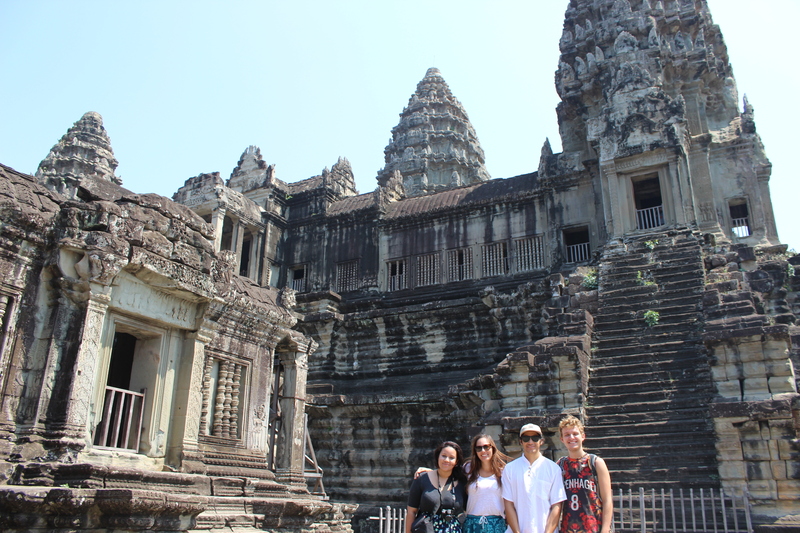 Eb and I went to the Angkor Wat temple with him and another French girl back in Cambodia. We remember this conversation we were having with him and he was saying that he misses wearing clean clothes and dressing up, because when we met him, he was on a gap year so he looked like a typical backpacker in Asia. Well that night, we became friends on Facebook and Instagram and I was having a suss on his profile and that’s where I learned he wasn’t lying, the dude is fully in to men’s street style. He has like a Kanye/ASAP Rocky kind of vibe but in his own way. He’s into his sneakers too so we could relate. 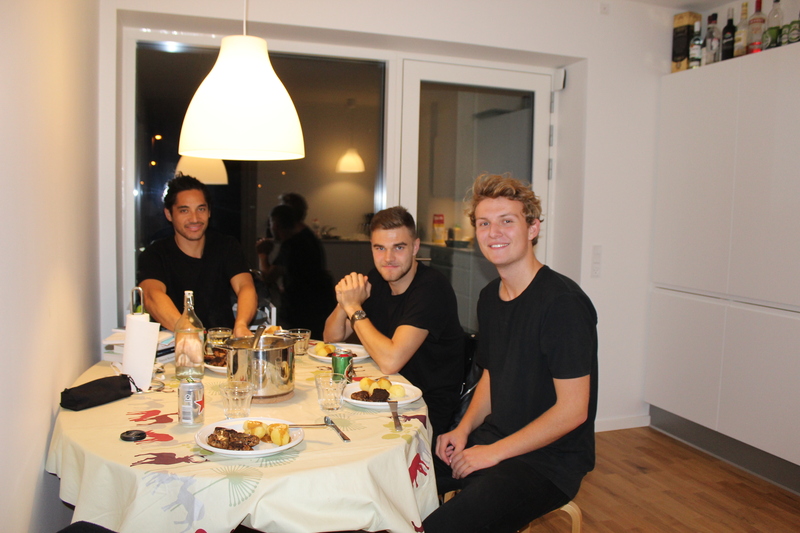 Rasmus said most people wear all black everything which was clearly evident in Aarhus. It even had an influence on both of us. When we were in India, he messaged me saying if we ever make it to Denmark we can stay at his and his family holiday house too (seriously, what a legend). He was very accommodating during our stay, he said we could stay as long as we wanted, opened his kitchen to us, vacated his room for us, even gave us money (which we didn’t take) to spend on food. 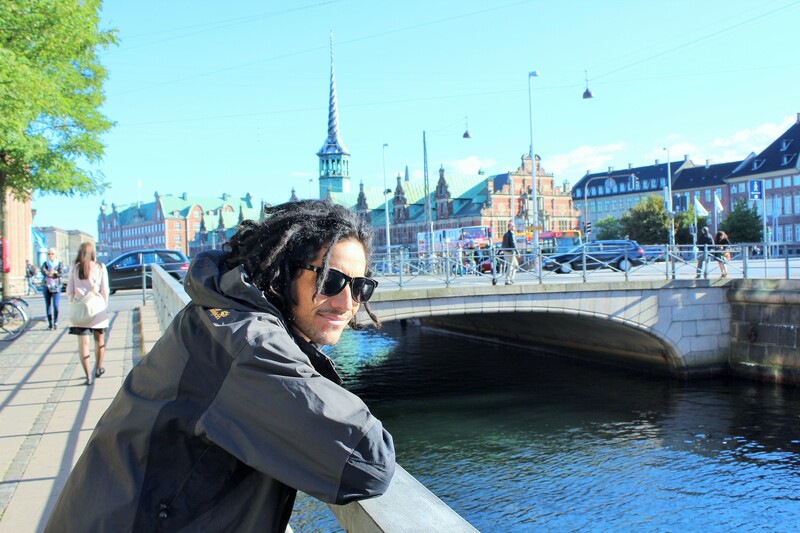 We were like, no we’re fine and he said but you’re travelling on a budget and it’s too expensive to buy food in Denmark and not to worry because he gets paid by the government to go to University (take note Australia). It was so good catching up with Rasmus and we were very thankful for him offering us a lot especially when he was really busy with Uni. We know will be seeing him again. 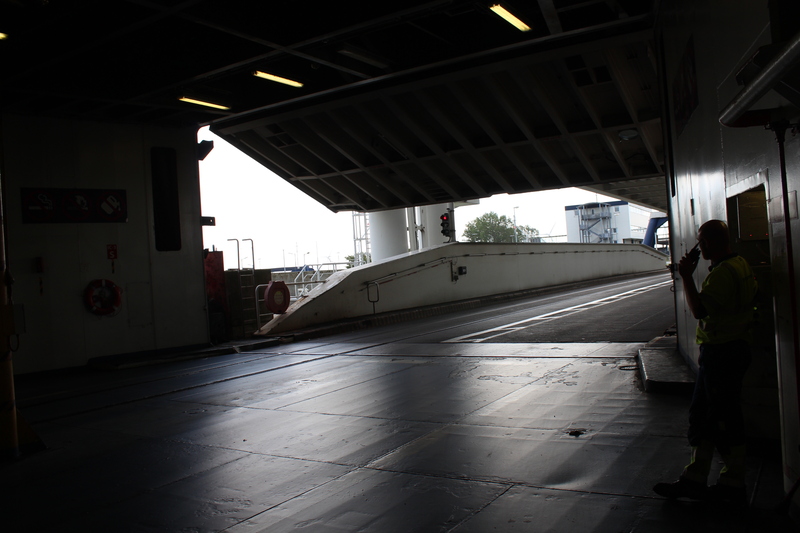 We left Rasmus’ apartment for the long ride to the top of Denmark where our Ferry would be. That day we left Rasmus’ was probably one of my most hated days on the bike. The wind up that way was so strong and we weren’t moving anywhere. 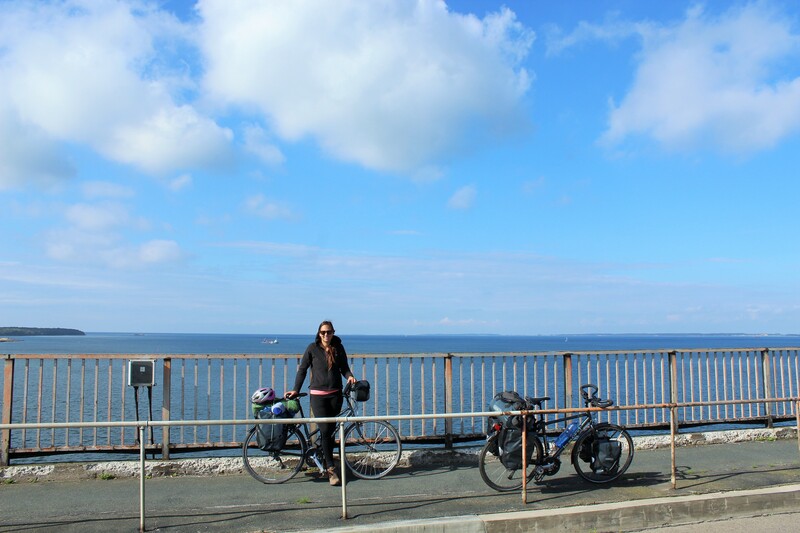 It was the first time I have regretted choosing to travel by bike. We were working hard but not getting anywhere. We did 40kms that day and cycled to the train station and caught a train all the way to the top. That, I did not regret. 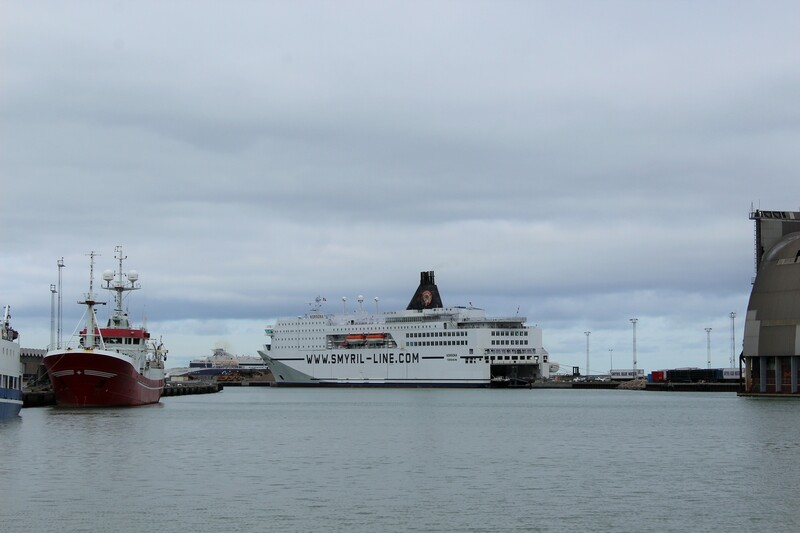 We could not believe the day had finally come where we were boarding our ferry to the Faroe Islands. We came up with the plan of going to the Faroe Islands when we were camping in the French Alps and to think after the long journey from the French Alps to Italy, through Switzerland, Germany, Netherlands, Germany again to the top of Denmark, we had finally made it. Such a huge relief for the both of us. So good to read about your adventures again. 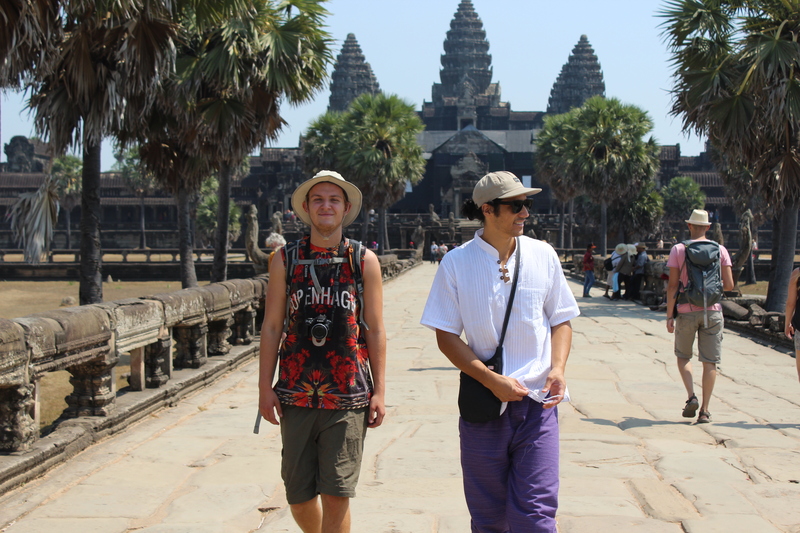 When looking at the pictures of you in Cambodia (together with Emma, Jonas and Rasmus) it is just so…. weird? It’s just a whooooolllle other world?